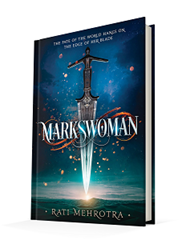 Published January 23, 2018, by Harper Voyager Markswoman by Rati Mehrotra a beautiful debut that captures mysticism as it captures this new world, its struggles, and its beauties. A genuinely unique novel markswoman gives the woman in this novel a powerful voice. The novels main focus gives women power all throughout the novel, making them revered women of mysticism and Magic. The mysticism in the novel is very captivating because very it connects very strongly to the author’s culture or religion so to speak. However, she uses a name that many people can look into a name that is familiar on the ears if not placeable in mind. However, it also captures many iterations of what it means to be a woman, not just the warrior but the more demure one, the more motherly princess-like version without letting go the warrior side of this goddess. Moreover, that makes the story the backstory very interesting because it is reflected in the characters one is one way another is another white they all represent this one goddess and its very beautiful how it works. It is quite brilliant how the magic and mysticism lend themselves to world building. There is a history to this world that resonates with the reader’s reality, but the time and place almost make it seem like it is a dystopian novel. Except it is not. That is the beauty of it. The mysticism of the novel takes many genres and weaves them together seamlessly, making this novel unique. Moreover, the structures acts in a way that says “here is this world, there’s history here, but that is a journey we will go on together.” The author does not waste her time in the history. She gives the reader exactly what they need to understand the world as it is now. The story is bogged down with useless detail, allowing it to maintain a perfect flow. The fact that gender roles are, for the most part, reversed is quite impressive. All the clans of Justice are made of women, except for one clan of men that are ostracized because they are men. To see this gender reversal in literature Sparks a discussion. There’s a lens here for the reader to see the reality shifted in a way that makes readers think. It is a feminist read for sure, but it is also a teaching read. 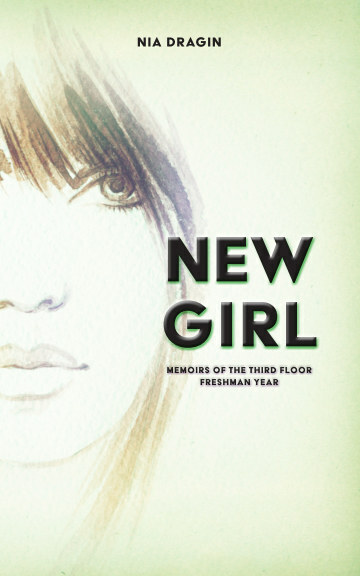 The novel comes to grips with itself as it teaches acceptance and love over power and revenge. Those in power should never look down on those whom they think are lesser than themselves. Kyra goes on this journey, and through that journey and her growth, the reader walks alongside her. There is an underlying theme of equality addressed here, and that is what makes the novel compelling. It is more than just about a girl seeking justice and revenge; it is also about peace and equality. These themes connect firmly to the characters allowing them to grow and flourish in the novel.